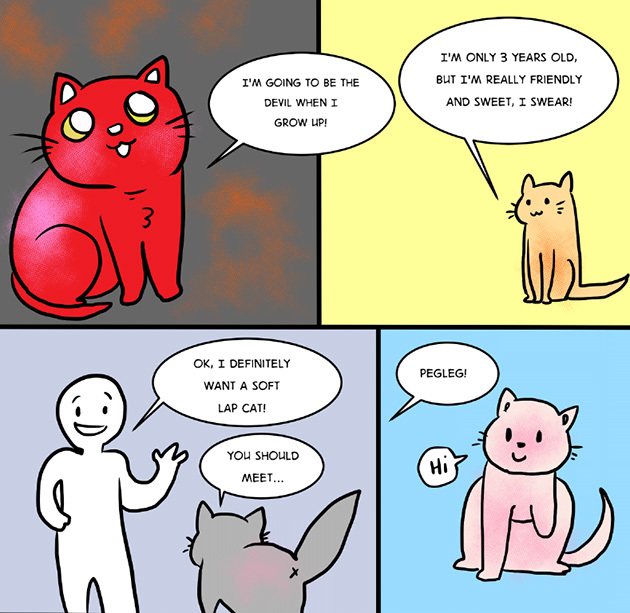 Why children are allowed at The Cat Cafe. In view of the recent reviews on children at The Cat Cafe, we would like to share our thoughts on why children are allowed at The Cat Cafe. The incident that brought the these reviews to our attention happened on a crowded weekend. A bunch of playful children (age from 7 to 9) were too excitedly over cats that they seemed to be hunting cats down. What did these children actually did? These children were crawling on the floor, moving a little quicker around the cafe and at occasion a few of them would surround the cat they like to pet. What did these children not do? They were not picking up cats, waking up cats, man handling or even torturing the cats. What did these children really want to do? These children really want to interact with cats, though their overly excited means might be wrong. A few of these children even have cats at home. 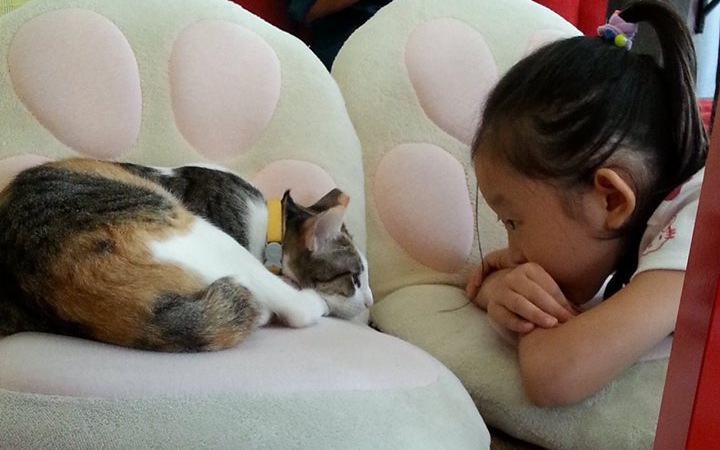 How The Cat Cafe deal with these children? Staff at The Cat Cafe firmly and repeatedly told these children not to do these actions that seemed to frighten the cats. When these children surrounded cats, we scattered them as well. Apart from constantly watching the children behavior, the parents were also informed of their misbehaving kids. What did the parents do? Their parents lecture the kids for while, make sure they are obedient and went back to drinking coffee. Meanwhile, while their parents enjoyed the coffee the kids will sneakily misbehave. What these children did after being lectured? These children like any other children out there behave for 5 – 10 minutes before transforming back to their old self. Why did The Cat Cafe not evict these children? The Cat Cafe reserve the right to evict patron that intentionally harm/mishandle/torture our cats. However, these children were not even close to harming the cats – at most they are scaring them due to their rapid actions. 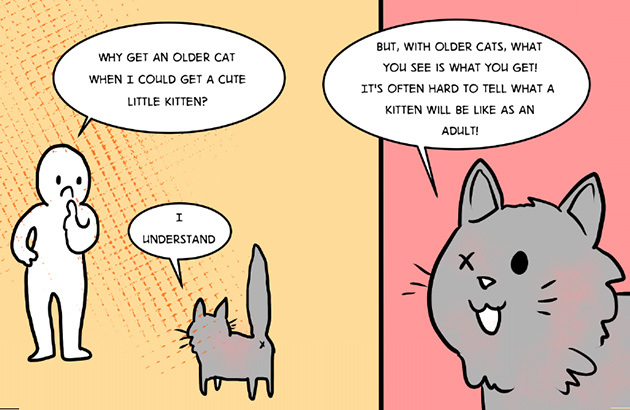 Children like cats need repetition to encourage the right actions. Evicting them would not allow them to learn the right actions. Likewise we do not abandon Patches (our more aggressive cat) away just because she is more aggressive. Children are our next generation, we need to teach them to love these cats so that in the future if they ever wish to own a cat they would adopt instead of buy due to negative stigma from young. How did the cats react being ‘hunted’ by these children? Not all the cats are fearful of these children. A few of our brave cats totally ignored them. There was never a point in time where the cats hissed at the children as a result of fear. Most of the cats know that The Cat Cafe is their home and when they are tired of being irritated by children, they retreat to our 2.2 meters high cat bridges where most of us (shorter humans) can no longer reach them. Will The Cat Cafe increase the age limit of children? No we will not increase the age limit as we have seen properly behaving 6 years old kid and improperly behaving working adults. If we should evict folks, we would evict the adults first. We believe that any children that are able to attend primary one should be able to properly behave ~ didnt all of us learn to hold hands and walk 2 by 2 by that age. What will The Cat Cafe do to ensure the well being of cats when there is children? The Cat Cafe will be working on education materials especially for children so that families can have a better time interacting with kids. We will strongly enforce adult supervision on children. The Cat Cafe mission is always to be more than just another cat cafe. We hope to transform the local community into one that appreciate and love cats more. Children only makes up a small proportion of our revenue as compared to working adults – they spend more time in the cafe and eat less food than adults. If we are really money minded we would simply raise the minimum age limit. 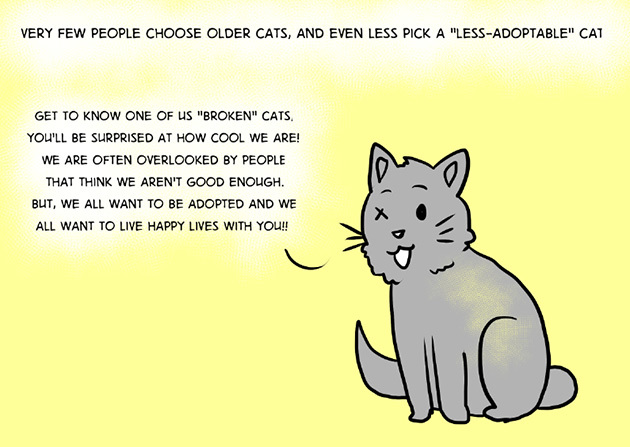 Children are our next generation, they will be the one deciding to adopt/buy/culled a cat 10 – 20 years later. If we do not educate these children when they are young and teachable we would miss the golden opportunity to transform Singapore into a more cat/pet loving society. Hence, we will continue to take the tougher road and choose to educate children as opposed to barring them from The Cat Cafe. We hope that all can do our part in educating our next generation and not reach a point where authorities need to step in and set a minimal age limit on cat cafe operations. 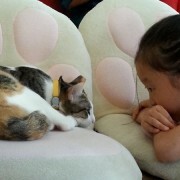 http://thecatcafe.sg/wp-content/uploads/2014/07/1-10545020_10152367584604342_310020440_n.jpg 450 720 TheCatCafe http://thecatcafe.sg/wp-content/uploads/2013/04/SMALL.png TheCatCafe2014-07-24 15:43:082014-07-24 17:03:39Why children are allowed at The Cat Cafe. 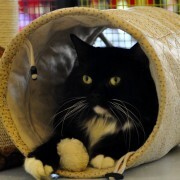 Btw check out fruitcake – our oldest female @ The Cat Cafe. She is 8+ years old, loves to play and one of the most gentle cat in the cafe. At The Cat Cafe, we strive to be more than just another cat cafe. We hope to impact the cat/pet community in Singapore in a positive way. 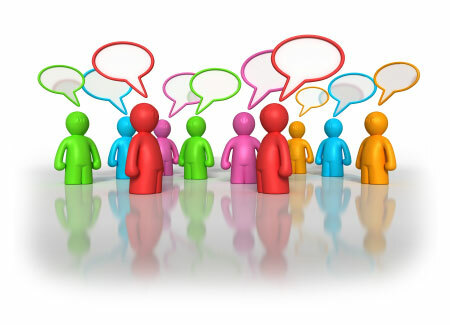 We decided that an active discussion forum would serve Singapore’s pet community better – as a knowledge base as well as a gathering of like minded individuals. Hence we hope cat lovers, dog lovers, animals lovers out that will participate our forum – lets build an active pet community here. So go ahead, post your questions on pet related issues, adoption issues, lost and found of pets, etc. 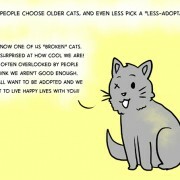 The Cat Cafe would do our best to support this community. 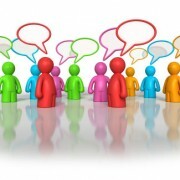 Check out The Cat Cafe’s Forum. Why The Cat Cafe has No Time Limit? http://thecatcafe.sg/wp-content/uploads/2014/07/DSC9419.jpg 1238 1862 TheCatCafe http://thecatcafe.sg/wp-content/uploads/2013/04/SMALL.png TheCatCafe2014-07-08 06:50:192014-07-08 06:52:10Why The Cat Cafe has No Time Limit?